Now that she’s nine, my worries have faded – mostly. So though she has few restrictions on her device, I still keep an eye on the content she’s accessing. But how do I ensure she’s having the safest, most age-appropriate experience possible? My answers are based on a combination of my professional knowledge of the tech industry and my continuous effort to be a responsible parent. No solution is right for everyone, but pieces of what’s outlined below will provide options around how to teach responsible mobile device use to your iGen child. While there continues to be debate around where the iGeneration falls within the spectrum of defined generations, general consensus is that the group was born between the mid-1990s to the mid-2000s. A high-level view of this group paints a picture of youth who are actively engaged with technology. Their interest and ability to use this technology, however, often leads to difficult requests and questions around appropriate and safe usage. While I don’t give out parenting advice or judge others on the choices they make for their children, I’m willing to share my knowledge within the tech space to help parents with the difficult decisions that surround technology and the iGeneration. If you do decide to equip your iGen child with technology (phone, tablet, computer), it’s probably not a bad idea to put a few parameters around the allowance. As a first step, get an insurance plan on your device. And purchase a case. If the case is big and bright enough, it may even keep the device from getting lost. But things happen, so if it is lost or stolen, ensure it has a passcode. This will protect your child’s private data. Also consider encryption for an extra layer of protection while you look for the missing device. If you enabled Find My iPhone or Find My iPad on your Apple devices, it will allow you to track the physical location of your devices. And in the event that they are unrecoverable, simply enable Activation Lock to render your device useless (which also acts as a great theft deterrent). Consider restricting access to Safari and only enabling third-party web browsers that allow for granular parental controls. This will ensure your kids don’t accidentally access inappropriate content. Another way to accomplish this same goal is by using safe DNS servers, which allow you to set restrictions by preventing access to the admin name. If that sounds too difficult, consider the simplicity of disabling the ability to acquire apps. Not only is there an app for everything, but many of them also cost money. Disabling access to app stores, or at a minimum requiring a passcode to purchase items, could save you from unpleasant conversations with your child. And for those who are very concerned about the content on your child’s Apple device – use Guided Access, also known as kiosk mode. This only allows for one app to operate at any given time. Perhaps that app is homework. 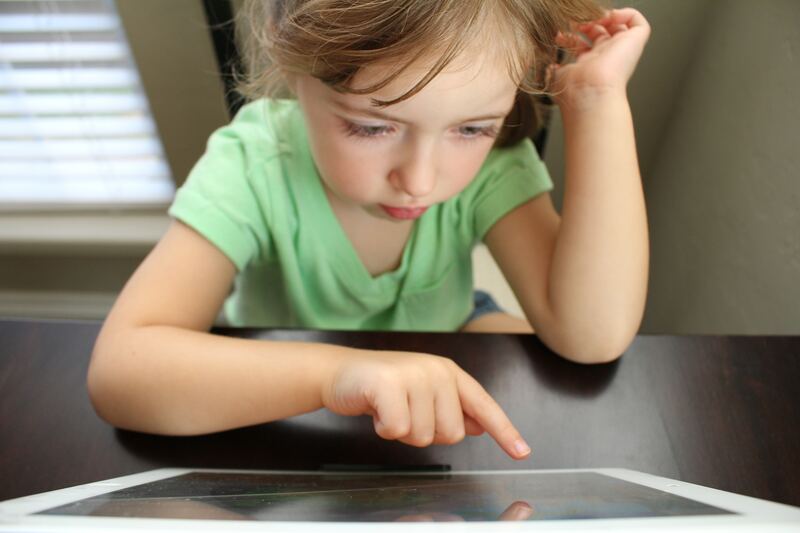 According to the American Academy of Pediatrics, it’s important to have “screen-free times” during a child’s day. Dinnertime is the perfect opportunity to try it out. The AAP added it’s also important for kids to have a balanced use of devices to ensure they are getting enough time doing other things, like playing with friends. Restricting the use of devices a couple of hours before bed is also a great idea. In addition to limiting time with the device, consider installing profiles to restrict additional functionality. Simply use a Mac to download a tool called Apple Configurator, and you’ll see all of the items that can be restricted. Or, use a mobile device management (MDM) solution to restrict access to various features over the air. If you don’t want your child to send email to 600 people at your company, you may want to consider disabling sync services (e.g. disable iCloud syncing), especially if your child is using your device. This will stop your mail, contacts, calendars and photos from syncing to devices. And finally, remember to back-up your devices. The “I lost my homework because my dog ate the tablet,” excuse won’t work if your content is backed up to either an online service or a home computer. While all of these options are great for limiting what a device can do, or better yet, providing a digital experience that’s tailored to your child, don’t go overboard. Use the tools as a way to do what’s best for your conscience while still allowing your child to learn and have fun. But remember, technology shouldn’t replace traditional parenting techniques. If you catch your child playing Minecraft at 1 a.m., and you feel like they broke the rules you set forth around tablet use, take it away. It’ll be a good lesson learned. Discuss digital responsibility with your child. Tell them that while it means they have the right and freedom to use all types of digital technology, their uses must be acceptable and appropriate. Begin to educate them on everything digital responsibility entails: bullying; stranger danger; appropriate posts; safety around posting personal information; and not saying anything that will embarrass them in the future. Of course there’s much more, but starting with the basics will help get you and your child on the same page. Seeing your child with technology can be scary. Much like when I first saw my daughter actively engaging with a tablet at four years old, it will likely cause you concern. But if properly managed, with age-appropriate expectations set and clearly explained to your child, technology will give them the door to a digital world of endless possibilities. Charles Edge is director, Marketplace at Jamf - a company that has solely focused on bringing the Apple experience to organizations since 2002. He holds 20 years of experience as a developer, administrator, network architect, product manager and CTO. He is an author of 16 books and more than 5,000 blog posts on technology, and has served as an editor and author for many publications. Charles also serves on the board of many companies and conferences, and frequently speaks at industry conferences around the world, including DefCon, BlackHat, LinuxWorld, MacWorld and the Apple Worldwide Developers Conference.